The Times of Oman, 26/09/2013: Autumn is the ideal time to visit this small nation with a vast history. The summer heat has eased, but the sea remains warm. Every wave of civilisation has left its mark on the Maltese islands, creating a mosaic of cultures and colours. 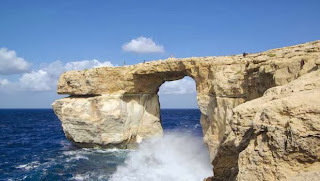 Malta, Gozo and Comino are wrapped in more than 100 miles of coastline, and decorated by dozens of towns and villages. Malta is plumb in the middle of the Mediterranean, with Sicily 60 miles north and the North African coast 120 miles south, and Malta's main tourist office is in Valletta at 229 Merchants Street (visitmalta.com; 9am-5.40pm daily, Sundays to 1pm). It occupies the Auberge d'Italie, former home of the Italian knights. The former capital, Mdina, is on the south-west side of the island, slightly inland. The most touristy parts of Malta extend along the coast north-west from Valletta, through Sliema and St Julian's to Bugibba and Mellieha. Island-hopping, is easy. The inter-island ferry (gozochannel.com) shuttles between Cirkewwa at the far the north-west of Malta and Mgarr at the south-east tip of Gozo, every 45 minutes for most of the day; return foot-passenger fare €4.65. The 25-minute voyage gives views of the island of Comino, and connects with a bus to Gozo's elegant but sleepy capital, Victoria. Malta's key celebrity hideaway is the Xara Palace (xarapalace.com.mt) in Mdina. A 17th-century mansion has been converted into a boutique hotel that entices royalty and celebrities..read on.